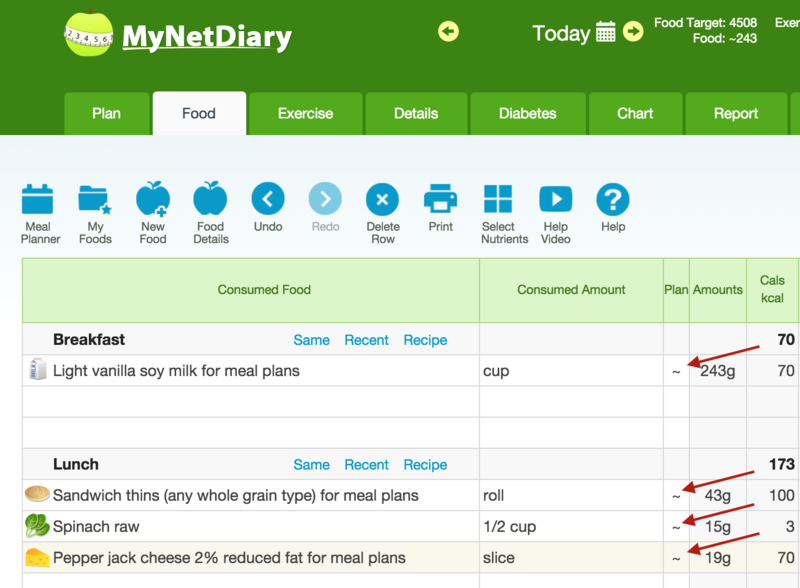 The Meal Planner allows you to click on suggested foods and log them to diary in advance. Fiber – As a second line of defense for reducing blood LDL levels, TLC focuses on increasing soluble fiber by 5-10 grams per day. Because food labels do not require labeling of soluble fiber, food databases have very little data on the breakdown of fiber types. 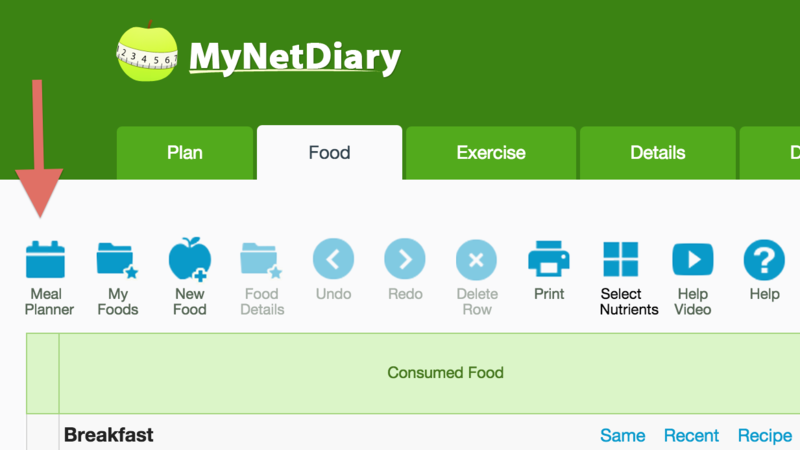 Because there is so much missing data, MyNetDiary does not offer soluble fiber as a nutrient to track. Instead, track total fiber grams. We use the Institute of Medicine’s DRI goal of 14 grams/1000 kcal for the total fiber goal. Plant Sterols & Stanols – As a second line of defense for reducing blood LDL levels, TLC recommends adding 2 grams of plant sterols and stanols daily. Because there is very little data for naturally occurring sterol and stanol content of foods, they are not available as nutrients to track. Because of the strong evidence of using more olive oil and nuts/seeds for heart health, these foods were chosen in menus instead of the expensive plant sterol/stanol fortified products. But you can choose to replace them with those fortified products (usually in the form of fortified soft tub margarine). In addition to the TLC goals, nutrient goals consistent with the American Heart Association, American Diabetes Association, and common medical weight control practices where implemented to provide guidance. Protein: higher protein for satiety, 20 g or more for meals, 60 g or more per day. If a meal was less than 20 g of protein, then a high protein snack was typically used to help boost protein. These goals are for all sources of protein – both vegetarian and animal sources. Because TLC meal plans focus on heart health, lean protein sources were used. Carb-controlled. 30-45 g avg total carbs/meal, and 0-20 g total carbs for snacks. Vitamins & Minerals: Average intake is 75% or more of the Daily Value for Vit A, Vit C, calcium, and iron. Sugars: < 25% total calories from total sugars. Note that until food labels require a breakdown between added and naturally occurring sugars, we have to use total sugars for goals. These menus use very little added sugar or syrup. If you add sugar or any caloric sweetener to your coffee, tea, or foods, then log that additional food item so that the calories and carbs are accounted for. Also, artificial sweeteners are not used in the menus except for sugar free maple syrup. Ideally, learn to enjoy foods that are less sweet or use naturally sweet foods such as fruit to sweeten other foods (like oatmeal or plain yogurt). Water: Every meal has a beverage and snacks include three cups of water to encourage fluid intake. You might need more water than what is in the menu. 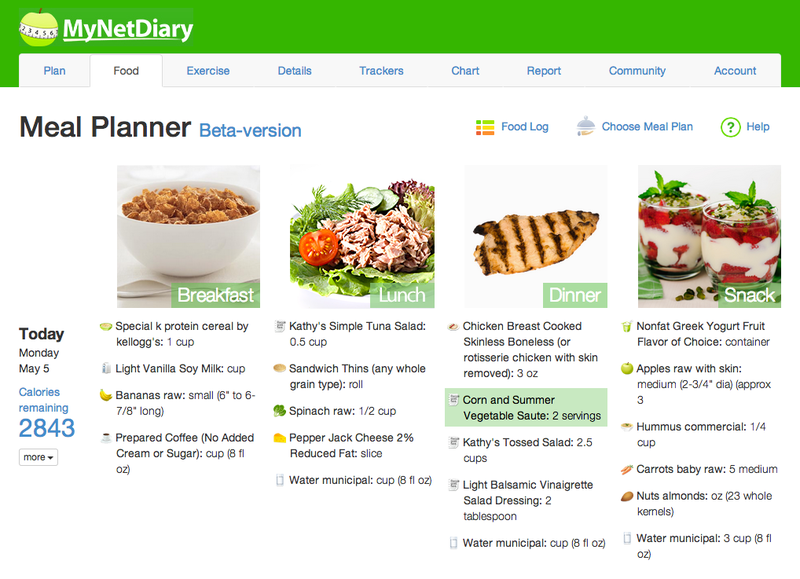 You can use your personalized Plan goals to identify your water intake goal. Fruit: Even at the 1200 calories level, fruit is important to include daily. These menus average 2 servings of fruit daily (1/2 cup diced, 1 small or medium piece, or 1 cup berries). Feel free to use fresh or unsweetened frozen according to accessibility or affordability. If you use canned, use juice packed but drain before use. If a recipe or meal calls for a tablespoon or other volume measure of dried fruit, it is best to dice or mince it so it spreads into the dish more easily. Non-starchy Veggies: 3 or more servings daily of raw and/or cooked types. Non-starchy veggies (e.g. greens, salad, carrots, beets, etc) are so low in calories that you can add more to any meal to help fill up with minimal calories. 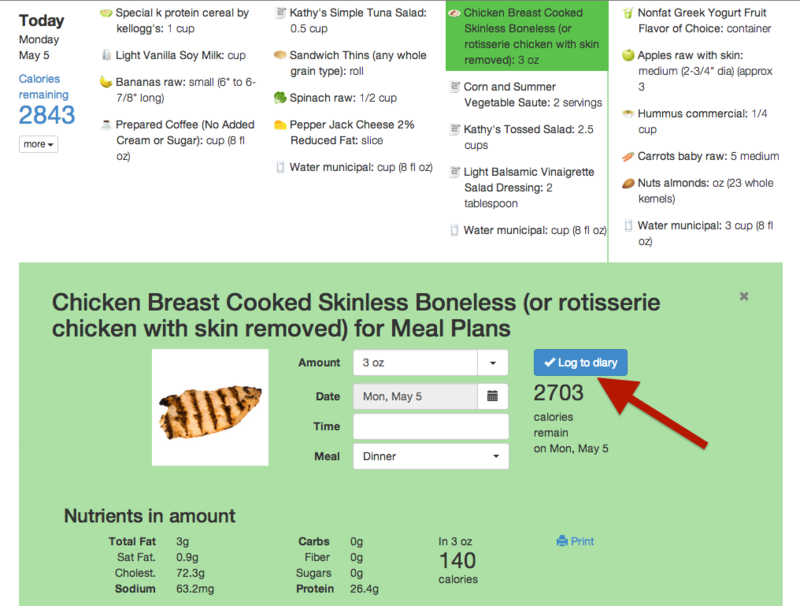 But log additional items consumed for accuracy – they boost vitamin and mineral intake. Consider 3 servings a day as a minimum goal. 1 serving = 1/2 cup cooked, 1 cup raw, or 2 cups raw greens. FYI: prechopped veggies, minced bottled ginger or garlic – menus use raw form but you can swap with these convenience forms if you prefer as the nutritional content is typically the same. Starchy Veggies & Whole Grains: unprocessed starchy veggies (including cooked dried beans and peas) and whole grains are used in these menus to encourage plenty of fiber intake – including soluble fiber. Fiber also helps us fill up – great for helping with weight loss. 1 serving = 1/2 cup cooked for most types. Nuts/Seeds: Mediterranean style eating is very heart healthy and one of the important components appears to be regular consumption of nuts and seeds. Therefore, these are included frequently in meals and snacks to boost consumption. Fish & Seafood: Mediterranean style eating is very heart healthy and one of the important components appears to be regular consumption of fish and seafood (not deep-fat fried). There are at least 2 fish/seafood meals per week. Menus use more widely available fish and seafood types – and typically more affordable. Extra Virgin Olive Oil: Mediterranean style eating is very heart healthy and one of the important components appears to be regular consumption extra virgin olive oil. This is the primary oil source used in menus. The calories are accounted for so please do not skip this extremely healthful fat! Meat & Poultry: TLC emphasis low intake of saturated fat so lean cuts and skinless poultry were used in menus. There might be a small amount of higher fat animal meats but the total saturated fat content is still within the TLC guidelines. Egg Substitute & Egg Whites: TLC emphasizes low dietary cholesterol intake (< 200 mg/day) so to remain consistent with this guideline, egg substitute or egg whites were used instead of whole eggs (the yolk contains the cholesterol). This allows a high intake of protein without the high cholesterol intake. Vegetarian Meal: At least 1 vegetarian main meal per week was included for variety and to encourage use of legumes and tofu as a heart healthy protein source. Homemade vs. Commercial Foods: these menus were designed to include both homemade and commercial foods. If you have the time to make your foods from scratch, then that is ideal. However, if you have very little time and need to rely on shortcuts, then find a brand that fits the calories, saturated fat, and sodium profile of the homemade item for the swap. 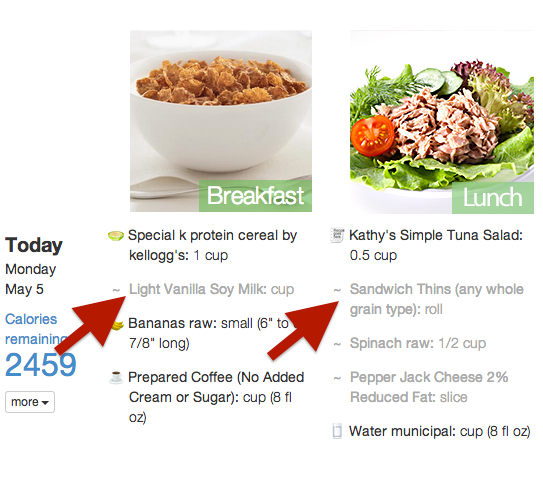 Use the swapped item in your food record for improved accuracy regarding calories and nutrients. Sodium/Salt: It is easier to account for sodium than to leave it out. If you prefer unsalted nuts/seeds, then use those instead of the roasted/salted items – the sodium will decrease but the other nutrients will remain high. Some recipes specifically call for “No Added Salt” foods – please use those to keep sodium content in check. Dairy (milk, yogurt, and cheese): Menus use either low fat or fat free/nonfat dairy products to boose both calcium intake as well as protein at meals and snacks. These items are used frequently: skim milk, light vanilla soy milk, nonfat greek style yogurt, cottage cheese, and reduced fat cheese sticks. Note that rice milk and almond milk are well fortified with vitamins and minerals but they are much lower in protein content than milk or soy milk. Branded Cereals – Breakfast cereals can be a nightmare for those trying to lose weight. Special K High Protein and Kashi Go Lean are two brands that are quite high in protein content per standard serving. These were included for specific examples of dry cereals are are widely available in the U.S. If you have a favorite high protein dry breakfast cereal you prefer, then simply enter yours instead of these. These convenience foods were used for variety – unprocessed oats,buckwheat, quinoa, etc are great whole grains for breakfast if you prefer those to dry breakfast cereals. Beverages: Tea and coffee both have healthy antioxidants. Both are included in menus for variety. If you prefer one over the other, then use the preferred beverage in your food log. if you use sugar and cream in your coffee or tea, then be sure to add them to your food log so that you see how they affect your caloric and nutrient totals. Butter: is used sparingly due to its high saturated fat content. Stick margarine is not used at all due to its trans fat content. Light whipped butter with canola oil is used for variety – Land O’ Lakes makes this spread and it is completely free of trans fat. Carb-controlled. 30-60 g avg total carbs/meal, and 0-20 g total carbs for snacks. Fruit: These menus average 2-3 servings of fruit daily (1/2 cup diced, 1 piece, or 1 cup berries). Feel free to use fresh or unsweetened frozen according to accessibility or affordability. If you use canned, use juice packed but drain before use. If a recipe or meal calls for a tablespoon or other volume measure of dried fruit, it is best to dice or mince it so it spreads into the dish more easily.